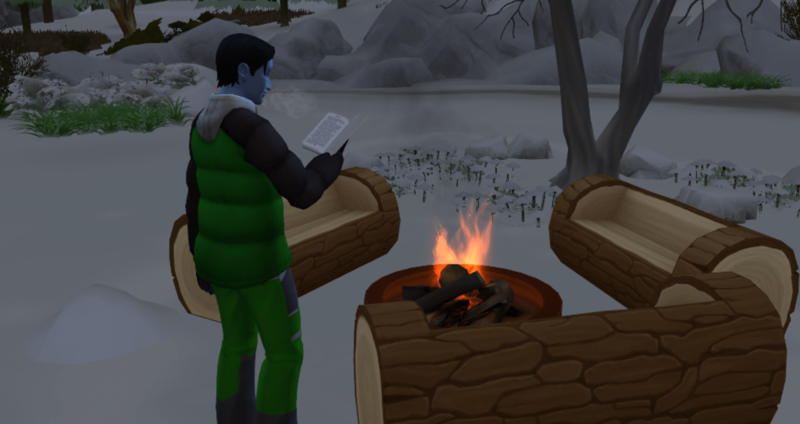 I read this and in the spirit of the bonus, and the fact that it was listed under Outdoor Retreat decided that the family must go to Granite Falls to go camping. Then I thought about it and said, but they are poor. Where could a poor family go camping? They could go to the local park and campout. It would be cheaper. Much cheaper. Then I looked at the cost of the tents. 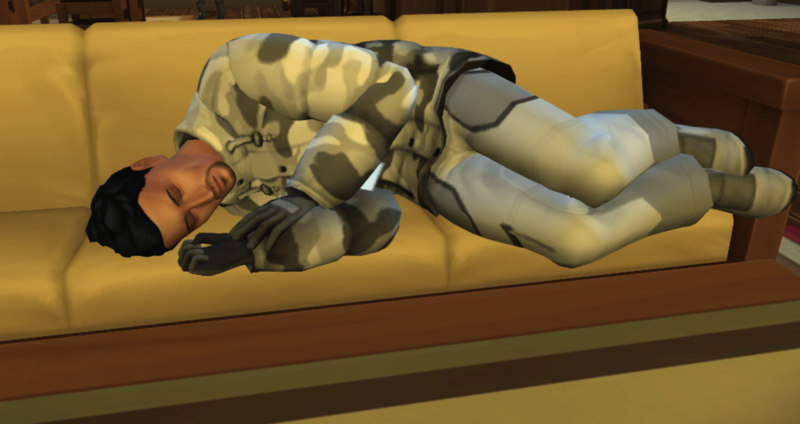 Buffy already owned a 2-man tent, but they would need to buy enough sleeping space for five more sims. The least amount they would spend would be §1,260. 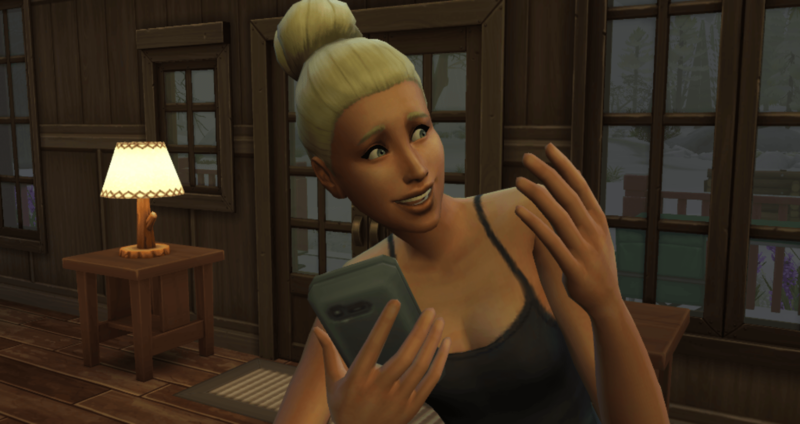 One night at the Lakeside Retreat, the largest cabin in Granite Falls, is only §893. So, it would actually be cheaper to go away on vacation for one night. If they were going to stay longer than 24 hours, the tents would be cheaper, but they are only going for an overnight – 24 hours – 1 day – in the dead of winter – because I have to do this before the calendar year starts over. Next year they will go in better weather. So here they are. Marveling in the glory of the outdoors. Mother Nature at her finest. Damn, but it is cold. We arrive at 12:04 AM Sunday and will be leaving in 24 hours – Don is the only one taking a day off from work. 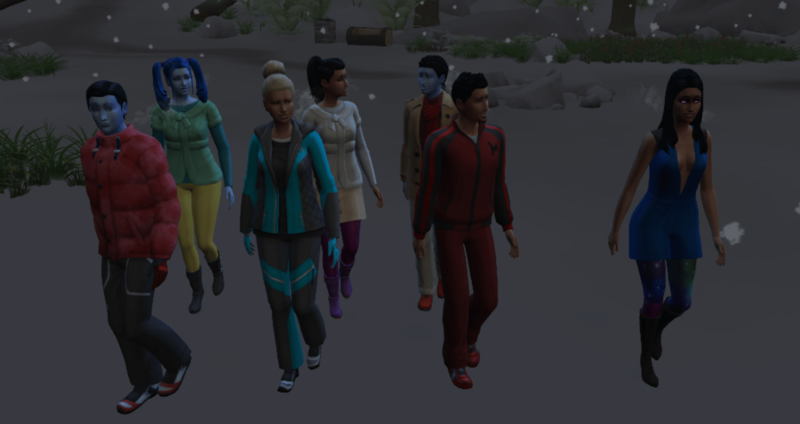 And everyone is dressed for the cold except Bunny, who is still wearing her dark form. Don and Xia retreat to the master bedroom to warm up. Yeah, I am shocked also – a bug, who would have guessed. If we get amazingly lucky and the bug fixes itself before I get to the cheating part, yippee. 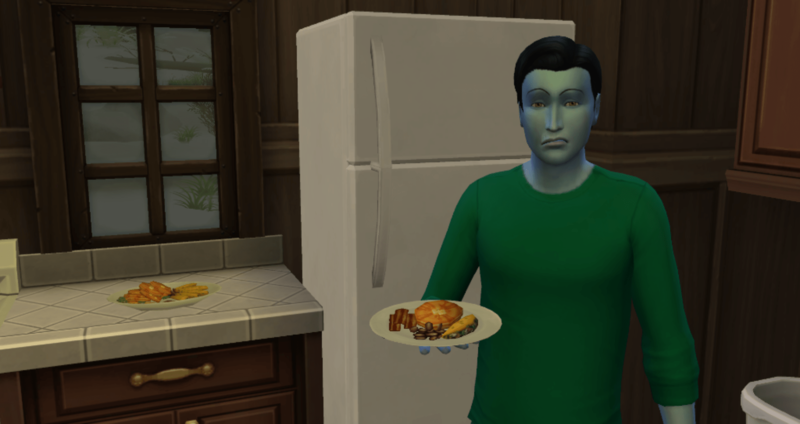 Olly may have to wait until he becomes a young adult to continue working on his aspiration, but that doesn’t mean he can’t work on building his cooking skills. He will need both cooking and gourmet cooking for his career – and he will need mixology also. 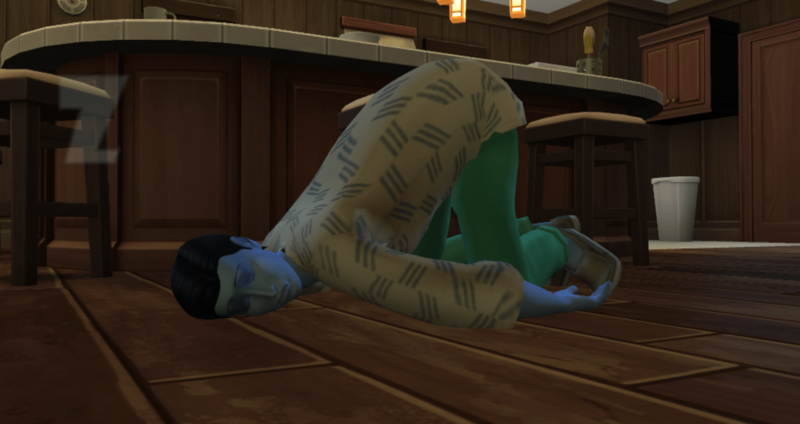 To complete the aspiration, he will need Cooking level 8, Gourmet Cooking level 6, and Mixology level 4. Of course, he has time to kill so he will be working to master all three. Just because the family is on vacation, doesn’t mean they get to slack off. Orion brings his violin and stakes out a bedroom to practice. He needs to write several songs but first he has to practice and get better. A lot better. 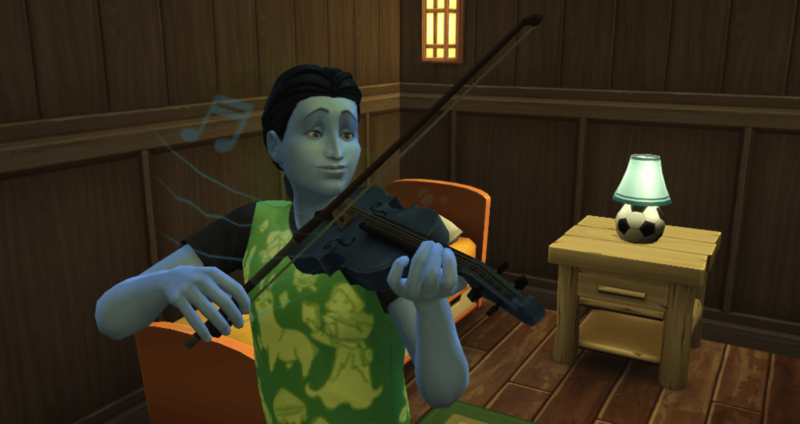 He plans on becoming an Entertainer (might as well) and will need to master both Violin and Piano by the time he is done, as well as reach level 3 in Comedy. You know, looking at pictures of Orion and Olly I noticed that Olly looks more manly and Orion looks like a teenager. Oriel had to make a choice on how best to use her talents. 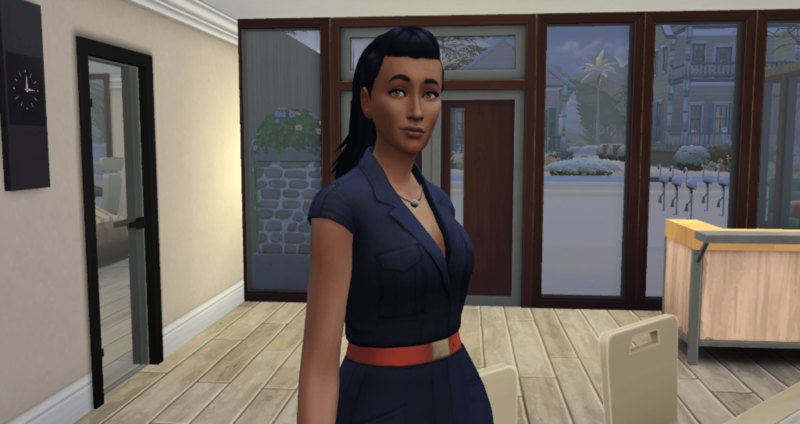 While her aspiration is The Curator, her career choice was wide open. She reviewed the many options available and narrowed it down to three top choices. 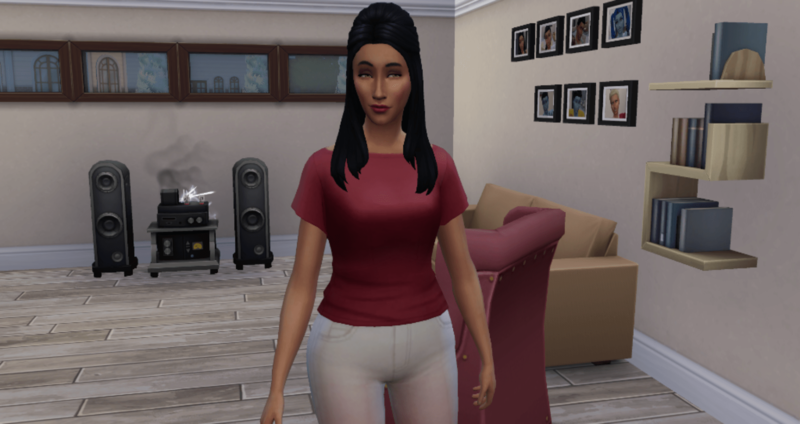 After performing a comparison of the benefits and drawbacks of each, she has decided on which field she is going to enter when she becomes a young adult. Now that she has a plan, she needs to focus her efforts on building her skill in Logic (level 10), Charisma (level 6), and Mischief (level 6). Even though I don’t plan on doing much (any) gardening during this challenge, Buffy will be joining the gardening career because it suits her. Bunny is my challenge. What to do with Bunny? She is going to remain a vampire. 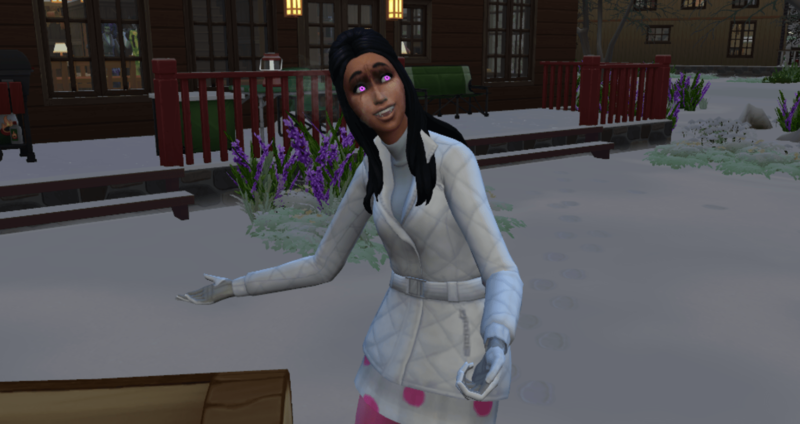 She has 15-16 days remaining to complete her aspiration but I have no idea what to do with her while she waits or what to set her up to do afterwards. But she did work on her singing. Mr. Loner – looks exactly like something I would do – book and a campfire, all by myself – although I would be snuggled up in a big blanket on a reclining chair and comfortable (and then I would fall asleep). Put on some clothes if you are cold. Besides your kids would really appreciate it if you got dressed. 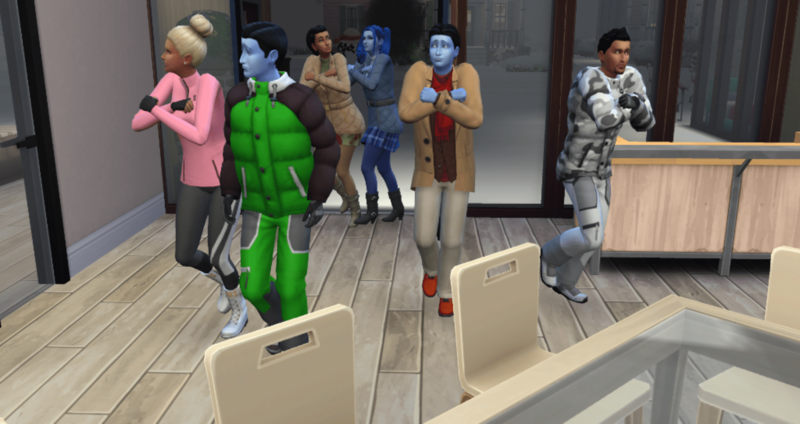 New Skill Day – and some of them aren’t having any success. Despite leveling existing skills and starting new skills, Don and Olly have not completed the tradition. They don’t seem to be very concerned at the moment. I have no idea where he went or why. 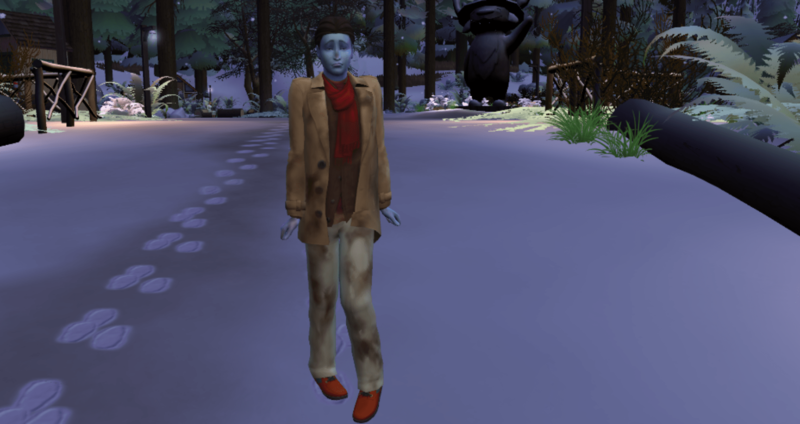 I just found him wandering around in this condition. I am guessing he went for a hike. As much as I enjoy going on vacation, I especially love coming home. It was a long 24 hours, and it is still winter and it is a freezing blizzard outside. Bunny poofs everywhere so she missed being in the picture. She poofed in right after I took it. 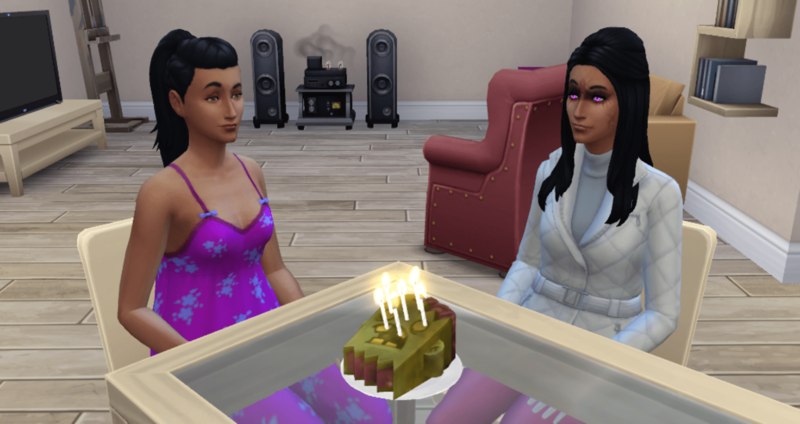 Don’s birthday… He was already sparkling when they got home, and there was already a cake in the fridge. A rough looking cake, but it is a cake. 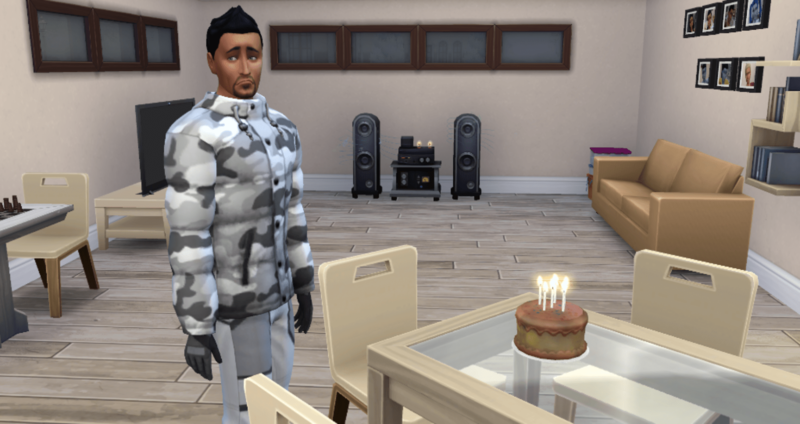 Everyone went straight to bed so he blew out the candles by himself. But hey, he got a cake. 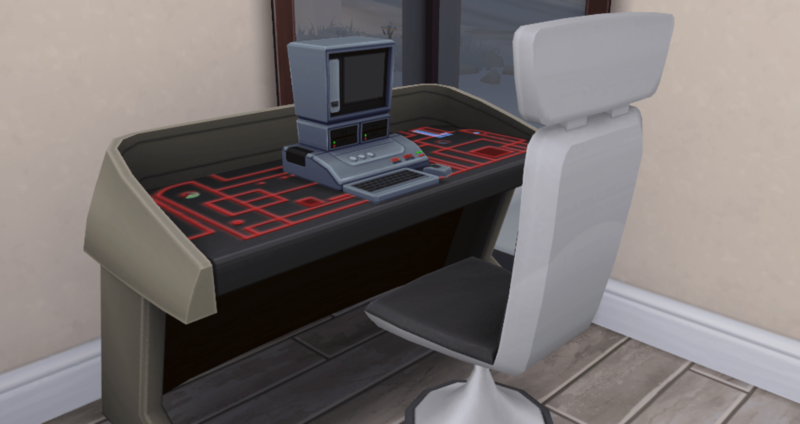 Don spent his aspiration points to pick up Connections and then bounced around the careers to pick up some cash and career rewards. When he finished he went back to Professional Athlete, losing one level (returning to level 5). As I figured at this late stage he would never reach level 10 anyways, it was more important to get the cash in the bank. And they really are excited about the shiny pretties. And the family finally has a nest egg to cover them when they need to buy something – they shouldn’t have to sell one thing to buy the other any more. Oh yeah, it is time for Buffy and Bunny to become young adults. What lovely new traits will they get? Ooh, aah… the anticipation… Since Olly is now working on Master Chef, he is in charge of making all birthday cakes until he moves out. So, he makes them a zombie cake. Gotta love younger brothers, right? Buffy adds Hates Children (Snob and Self-Assured) and picks up Responsible. 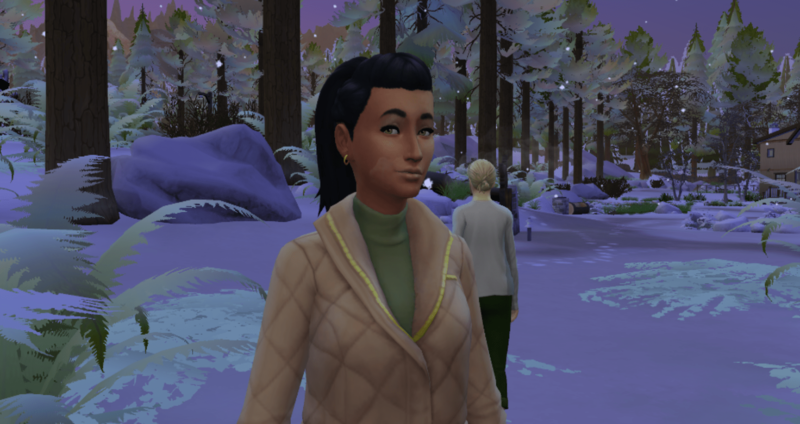 She joins the Gardening career and spends her aspiration points on Super Green Thumb. Now if the world would just thaw out so things would grow again. Bunny rolls Snob (Cheerful and Clumsy) and also picks up Responsible. 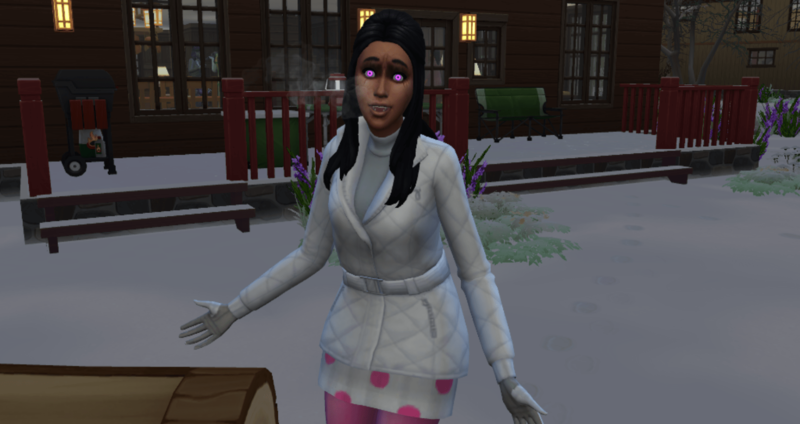 She spends her points on Savant, Night Owl, and Morning Sim. With her vampire boosts, I am hoping this helps her learn skills faster. 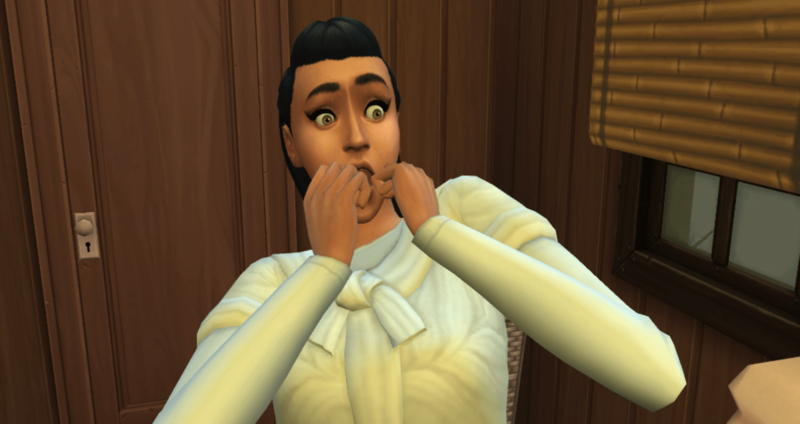 Maybe the two weeks she has remaining in the household can be spent maxing skills for the super-mini challenge. I still don’t know what her lifetime plans are going to be.